An attractive, 19th century chapel and its garden in the Gâtinais region’s Venice just an hour from Paris - monastery for sale France - in Sologne, Touraine, Loire valley, Burgundy, Auvergne. 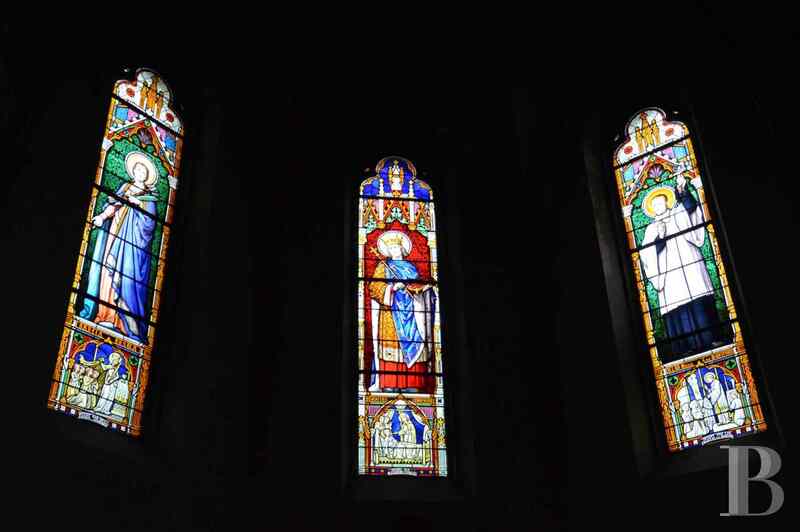 - Patrice Besse Castles and Mansions of France is a Paris based real-estate agency specialised in the sale of Religious edifices. 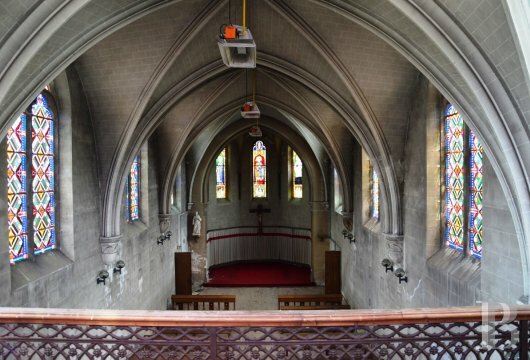 This chapel, in the Centre-Val-de-Loire region, is in Montargis, a little town with 14,000 inhabitants bordered by the Briare Canal and crossed by several arms of the river, spanned by 131 bridges and walkways. The town, set on an old Roman Way, is expanding courtesy of the natural and architectural heritage surrounding it such as vast big game hunting grounds, boating on the Briare and Loing Canals, the “La Loire à vélo” cycle tourism route which is part of the European cycle route network known in France as “La Scandibérique”, stretching from Scandinavia to Spain, as well as the historic estates of Sully-sur-Loire, Buissière and Gien. It takes but an hour by car or train to reach Paris, a little longer via navigable waterways from the Seine. There is a nearby aerodrome. 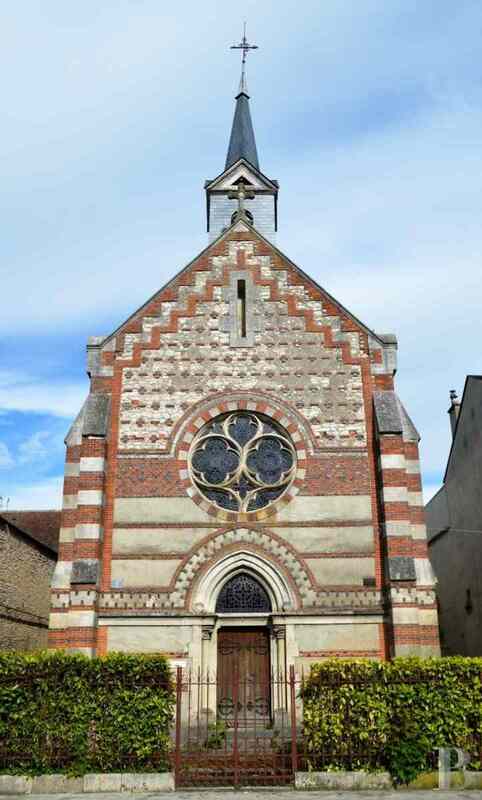 The St-Louis chapel, in the town centre, is built within the perimeter walls of the Ursulines’ convent, itself built between 1642 and 1645. 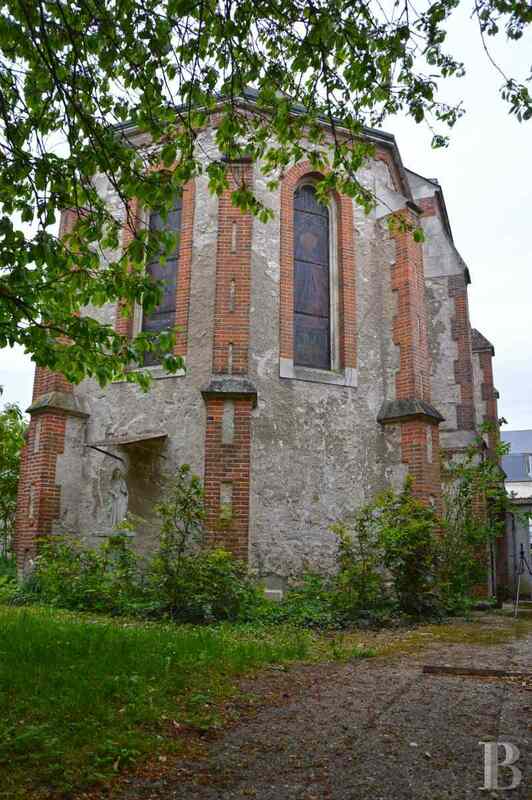 Sold as national property, the religious edifice housed the general hospital in 1792, the year the Royal family was abolished in France. It was used in the middle of the 19th century not only as a hospital but also as an orphanage and a girls’ school. 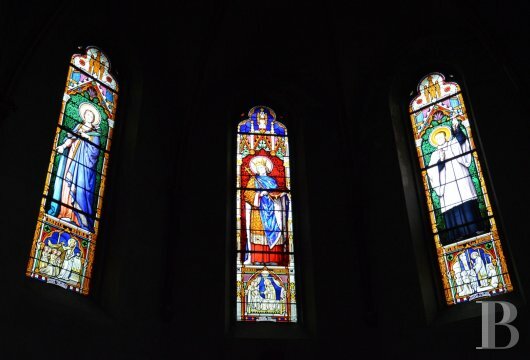 The staff was composed of religious as well as lay men and women. In 1867, the Henriet-Rouard-Foundation financed the perpetual upkeep of an old peoples’ home for both sexes. 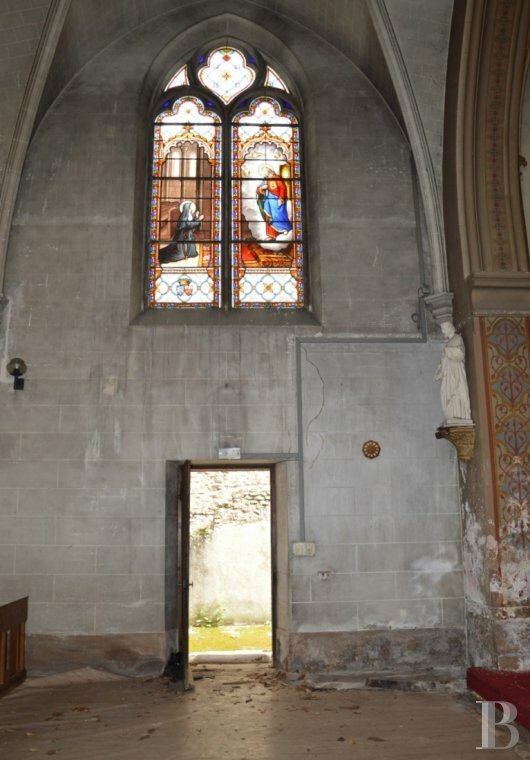 The chapel was constructed two years later. On the south side is a shopping street including organic restaurants, a bakery and a flower shop as well as car parking spaces. 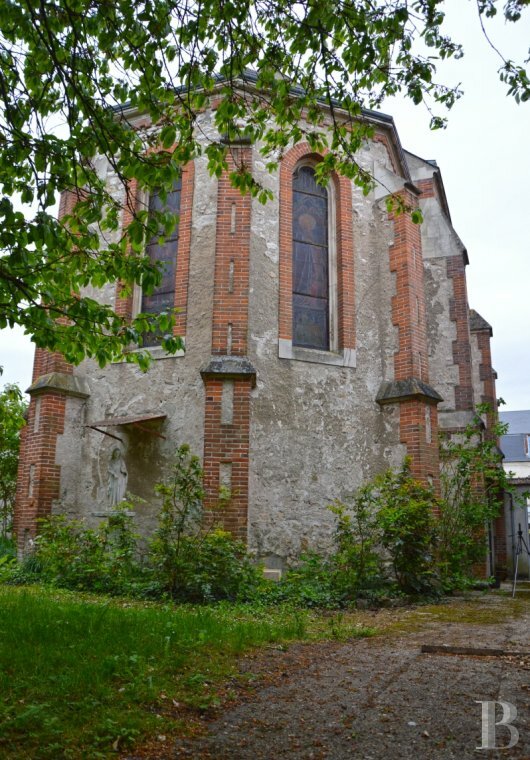 A residential district on the north side was laid out in the buildings of the old convent, before Briare Canal. 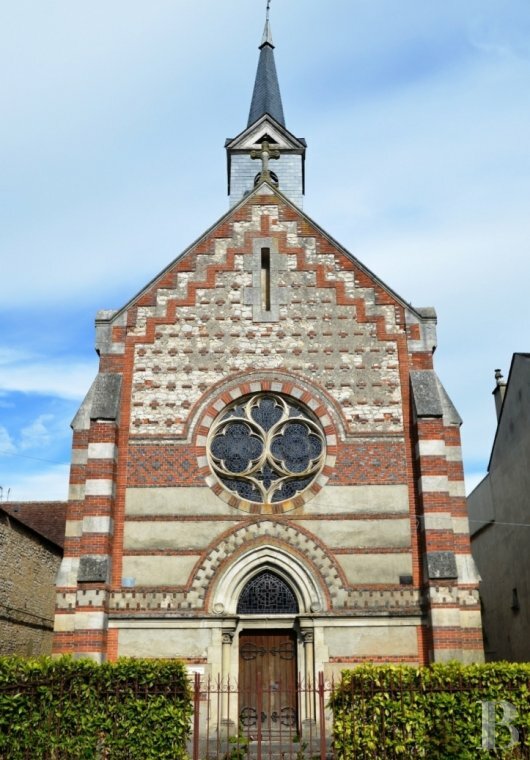 The land housing the chapel is completely enclosed by walls, featuring two gates on the garden side and wrought iron entrance gates. 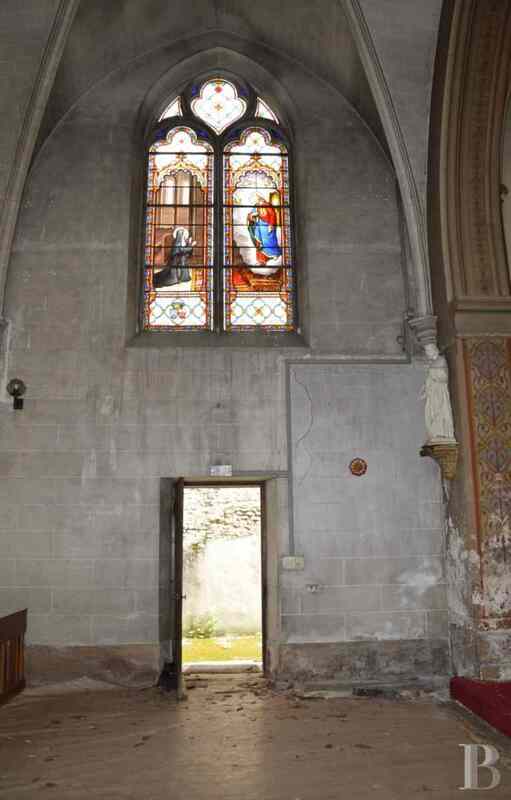 A narrow gravel path on either side of the religious edifice makes it possible to go all around it. 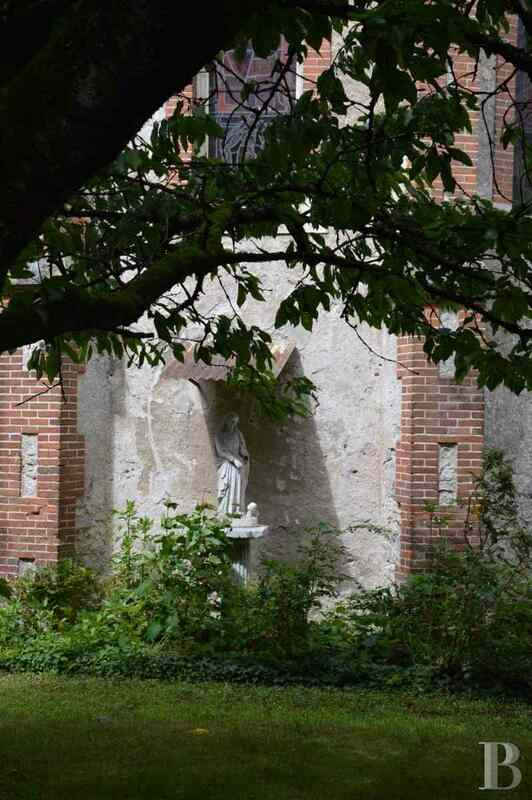 A wooded, priest’s garden behind the chapel spans a surface area of about 550 m². 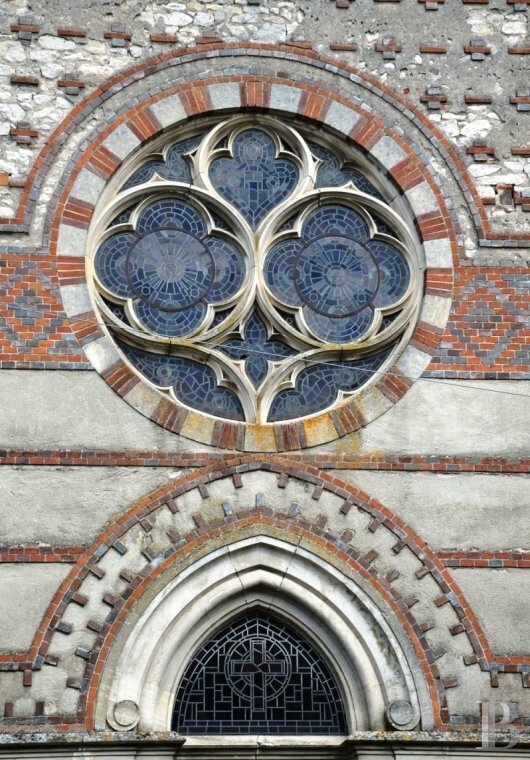 This stone chapel is partially rendered and faced with bricks laid in a chessboard or diagonal pattern. The parvis of the chapel takes the form of stone steps. 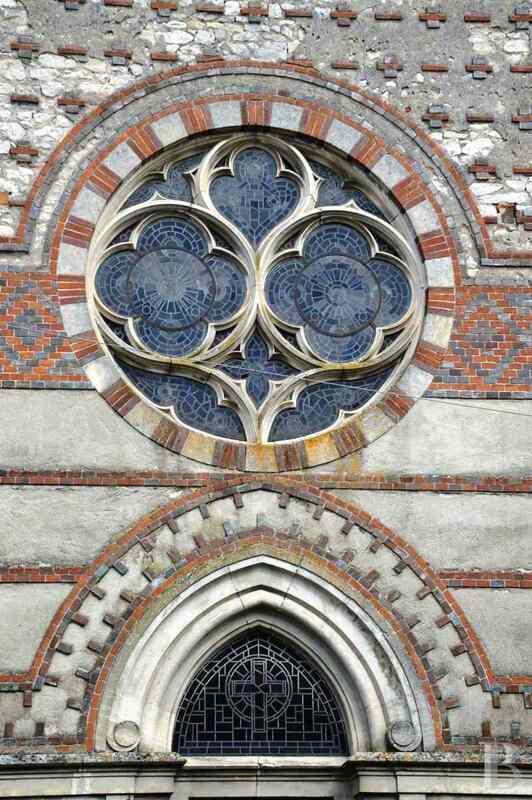 The facade features a flamboyant gothic style rose-window with tracery and a doorway set in a triangular arch. 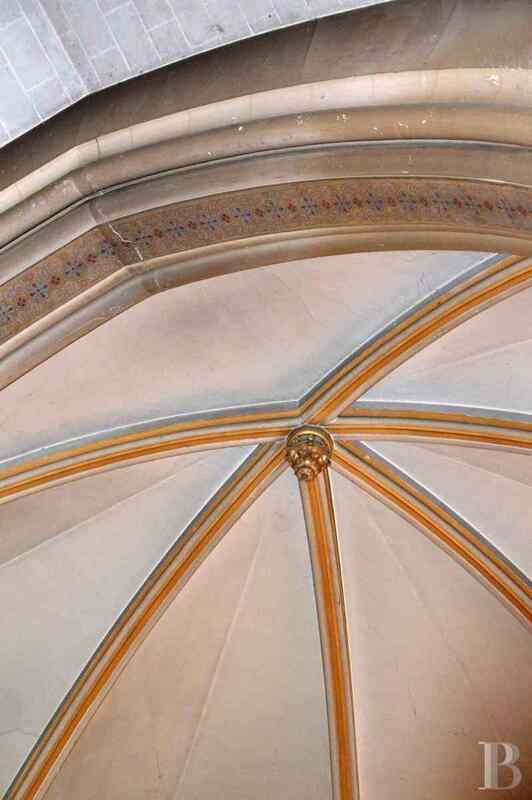 The spiral of a section of the arch moulding rests on two capital columns, the simplified attic base of which rests on a podium. The gable wall is decorated with brick string and belt courses as well as crowsteps. Its summit bears a sculpted stone cross. The side walls in the nave and those of the apse are supported by buttresses. 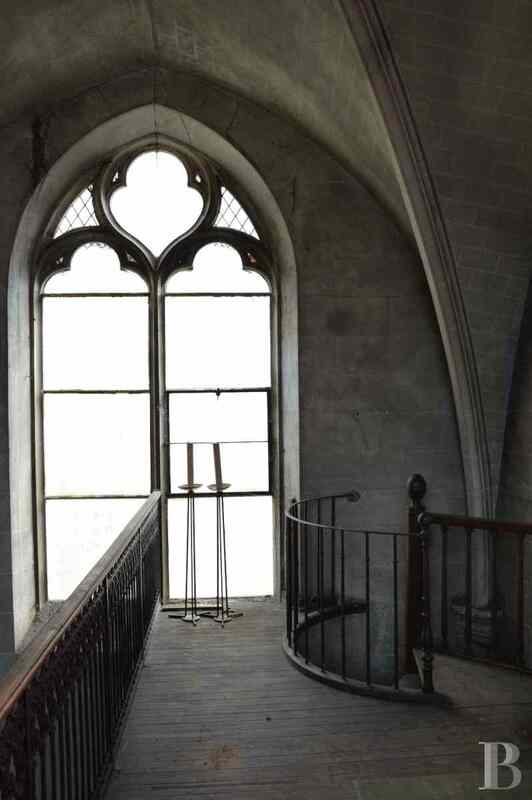 Between each of these are tall stained glass windows set in triangular arches. The roofs are covered with slate. The spire on the bell-tower, also with a slate roof, is delimited by four triangular pediments. The chapel, spanning a floor surface area of approx. 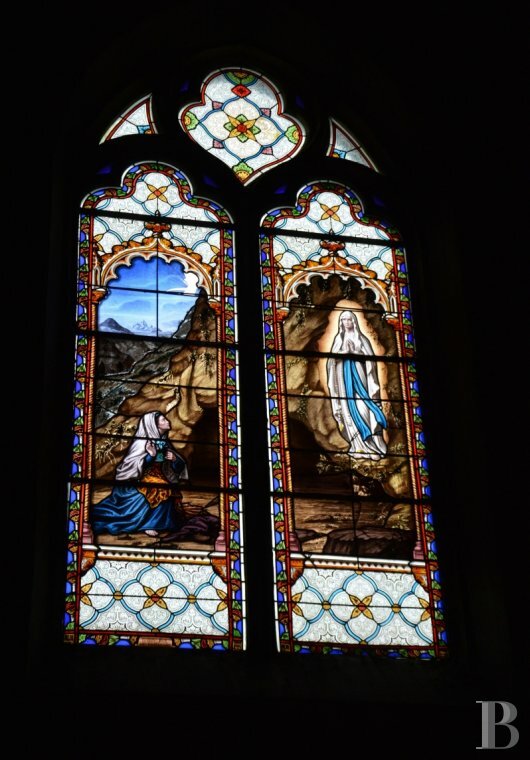 190 m² and a height of some 8.60 m, is illuminated via stained glass windows featuring geometric patterns or older figured images featuring St-Louis-Marie-Grignon-de-Montfort, offered by the Filles-de-la-Sagesse, Saint-Louis-Roi-de-France, Sainte-Ursule and Annonciation. The floor is covered with old terracotta tiles whilst the walls are composed of dressed stone. Two columns are painted with arabesques. 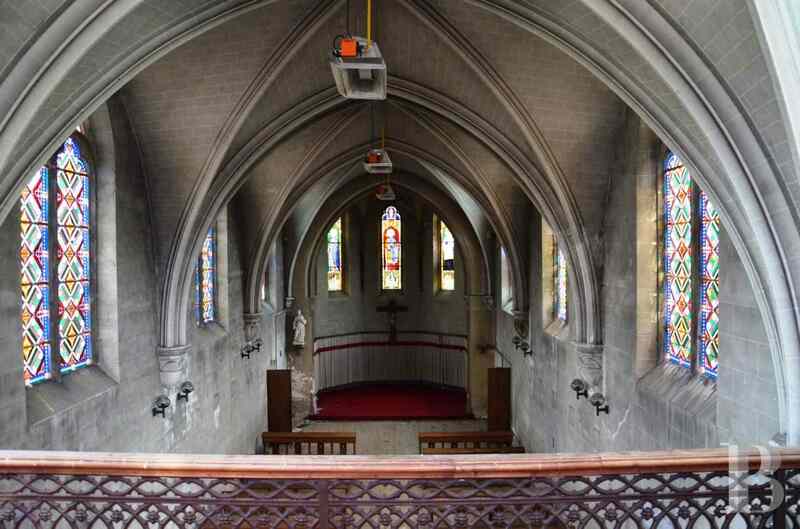 The sacristy is in a little room next to the chapel. 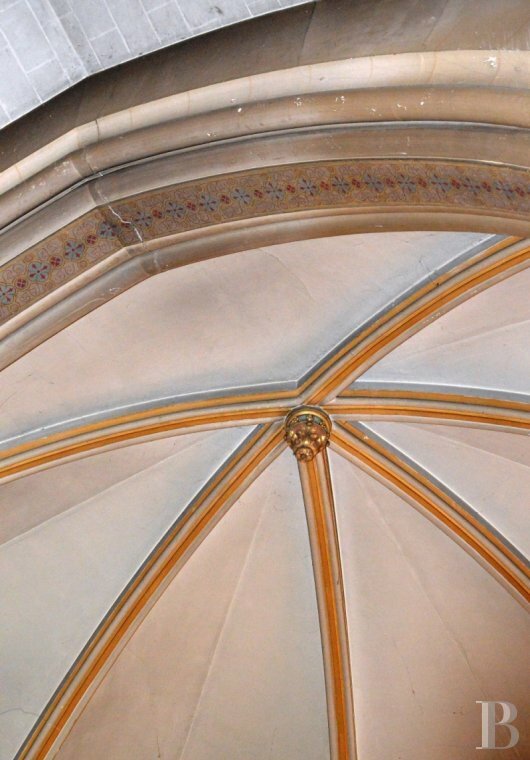 The ceiling features triangular and cross-ribbed vaults which are supported on corbels. A wooden spiral stairway goes up to a tribune with a wrought iron balustrade and then to the attic space. Another small room houses the ventilation system. 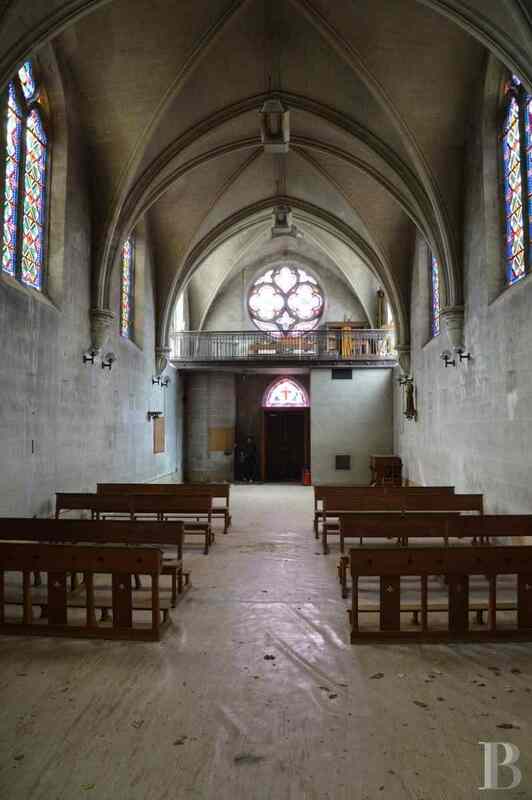 This chapel is but waiting for a new benefactor who will perhaps be rewarded a hundredfold the respect given as part of a personal or professional project. The modest gothic style chosen by the constructors exudes good taste. The use of stone and brick has given the building a Norman or Nordic air. 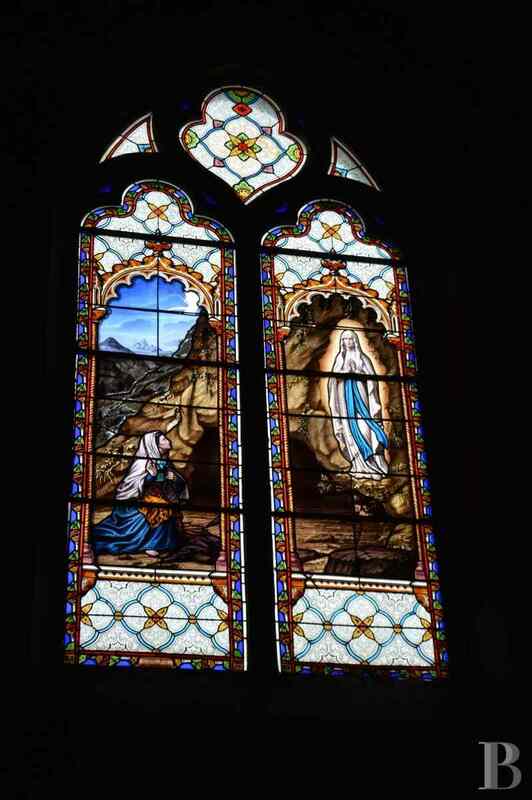 The stained glass windows based on the Sulpician Order are touching whilst those without characters appear contemporary. The history of the site is inspiring and adds to its great attraction.